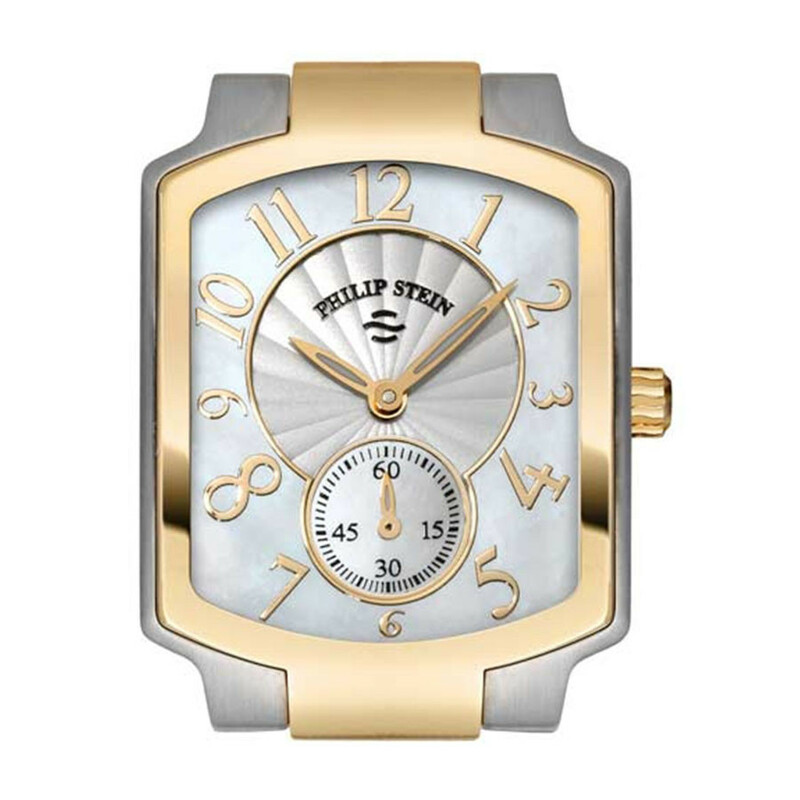 Philip Stein will give you an ooh-la-la look whenever you wear this Classic collection watch. The case is constructed from gleaming stainless steel with beautiful yellow gold plating. It surrounds a Mother-of-Pearl face with a single time zone dial and subdial as yellow gold numerals provide beautiful accents. This watch has Natural Frequency Technology integrated in the watch's case, and this will keep your body in tune with what's going on around you. Interchangeable straps at 18mm keep you fashion forward with this great Philip Stein timepiece. Watch straps are sold separately, and JR Dunn has a 10-day satisfaction guarantee for all Philip Stein products.